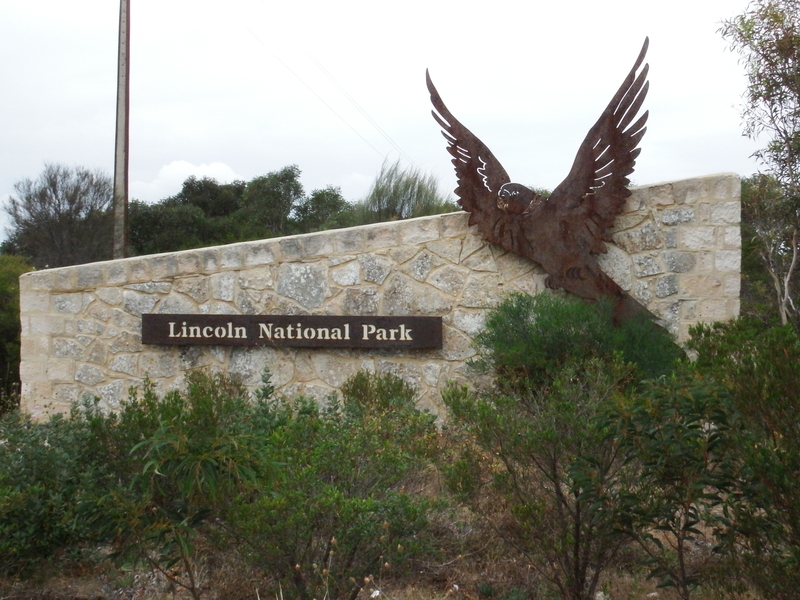 The Lincoln National Park is located around 10km outside of the township of Port Lincoln. There are a number of camping sites located throughout the park that are accessible both by 2 and 4 wheel drive vehicles. We arrived at the entrance and filled out the self-registration for our vehicle. Luckily we had the correct change as there was no option to pay by credit card. 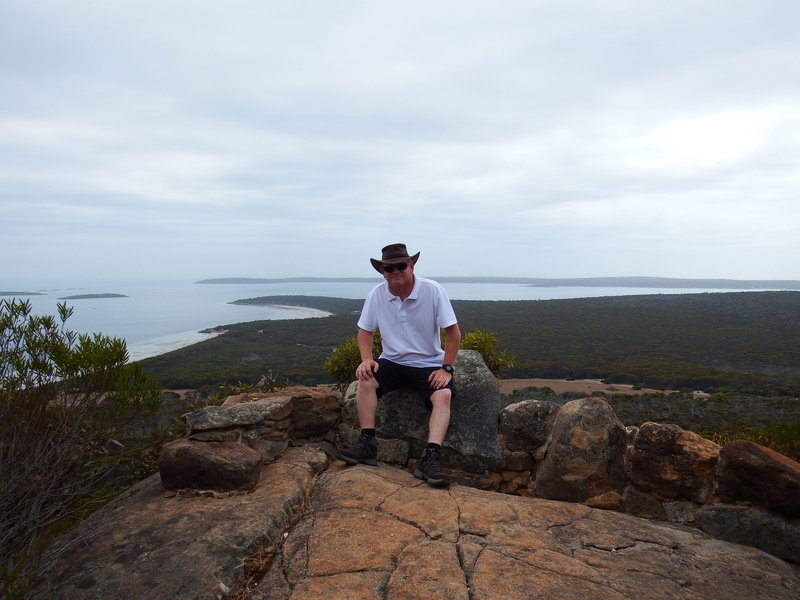 A short 1.2km hike up a hill. 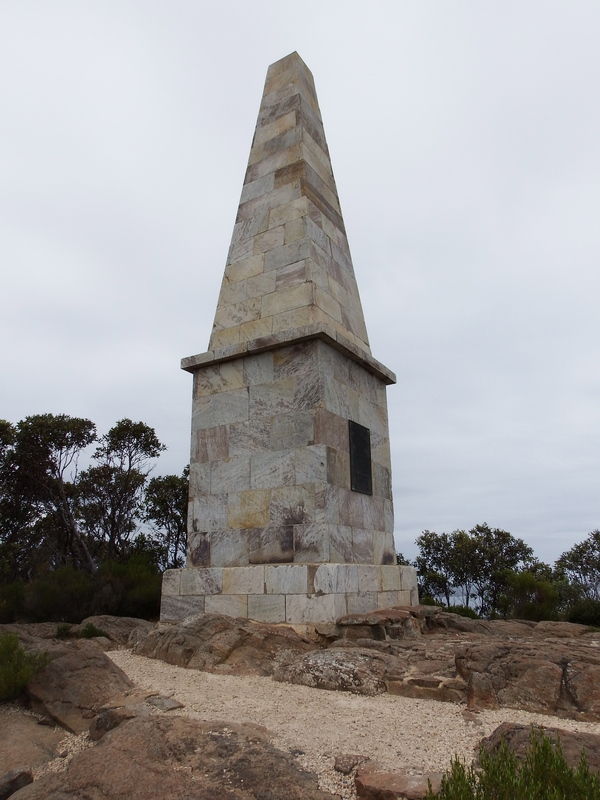 There is a monument at the summit in recognition of Mathew Flinders crew who scaled the hill in search of water in the early days of Australian exploration. 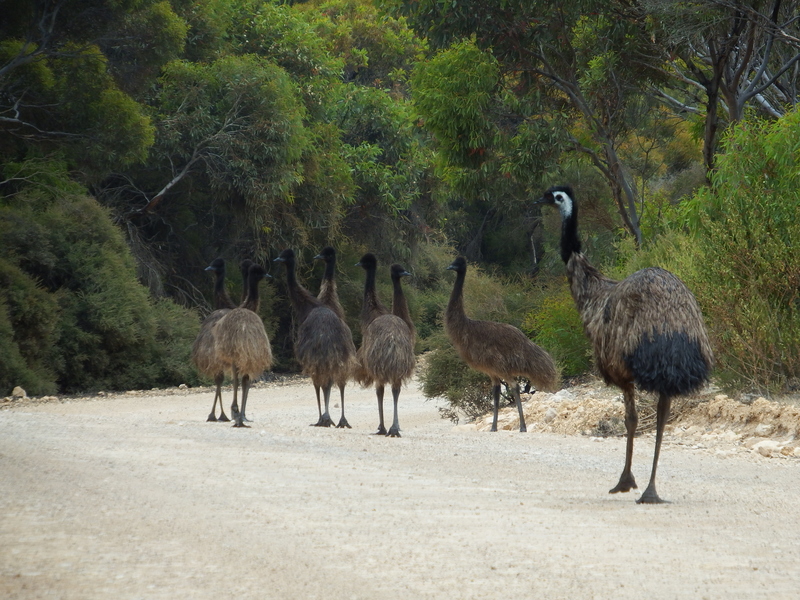 As we headed further down the road we came across a family of emus. The chicks were a fairly large size but dad still herded them off into the bush when we came along. Next stop was Donington Lighthouse. 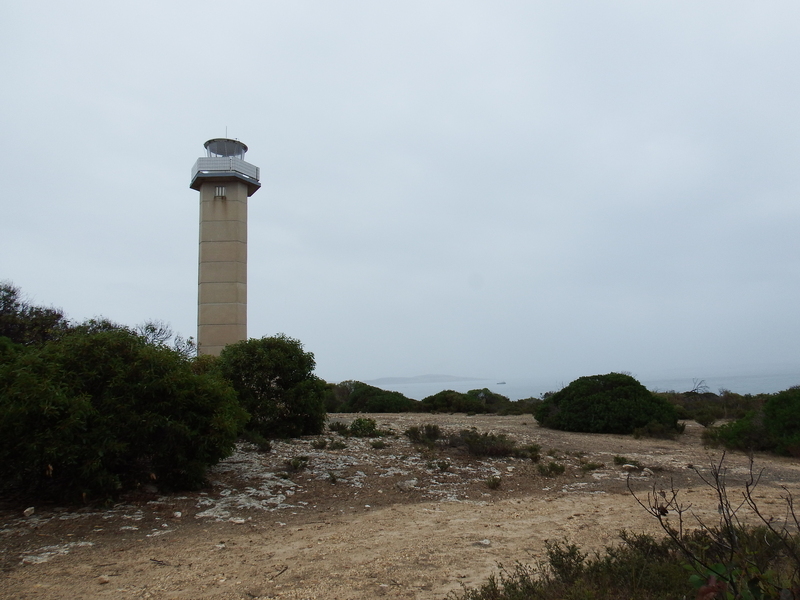 When we arrived it was raining and the lighthouse was just an ugly beacon. Due to the rain we didn’t bother with the walking trails and kept moving. 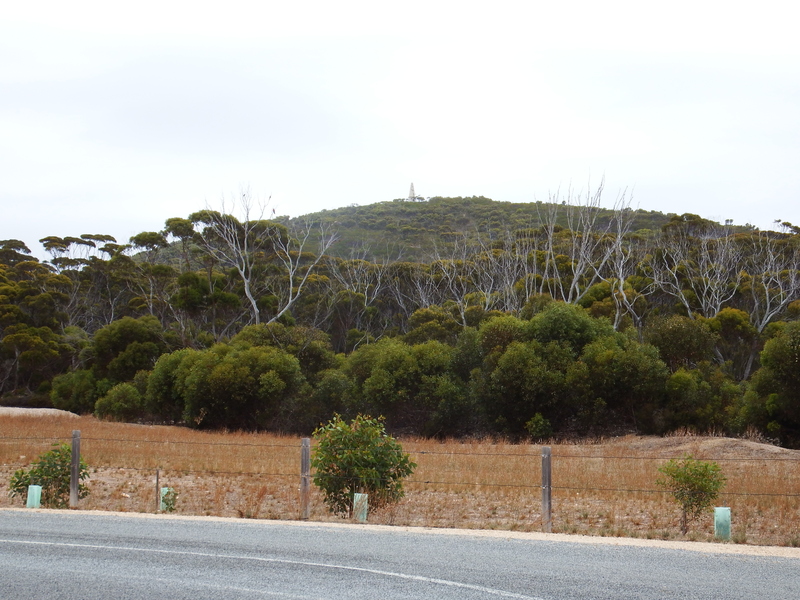 We drove a couple of kilometres down a 4WD track to arrive at Carcase Rock. It had stopped raining long enough for a photo before we carried on. There are many more walking trails in the park but due to the unfortunate weather on the day we visited we didn’t do much hiking at all. We checked out some of the camping areas in the park and thought they looked pretty good, but we were already booked in at the caravan park as we thought it might be busy being school holidays. If we had of stayed in the park we would have done a lot more of the hiking trails.